As reported previously I spotted a bat in late 2014 and bought a bat detector to try to identify the species, but without success. Since bats hibernate over the winter there weren’t any around for a few months but now they’re here on a daily basis. The best time to see them is about an hour after sunset, when it’s generally getting quite dark and often also a bit cold. I’m fairly sure the ones I’m seeing regularly at the moment are Common Pipistrelle bats since they’re pretty small and are showing up on the right frequency using the bat detector. They seem to behave a lot like swallows, moving fast and changing direction rapidly (which isn’t too surprising since they’re both hunting insects on the wing). I reckon the bat I saw in November was different – larger and moving much more slowly – so that was probably a different species. There’s a lot of wildlife around the place: foxes, mice, rabbits and birds of all types. 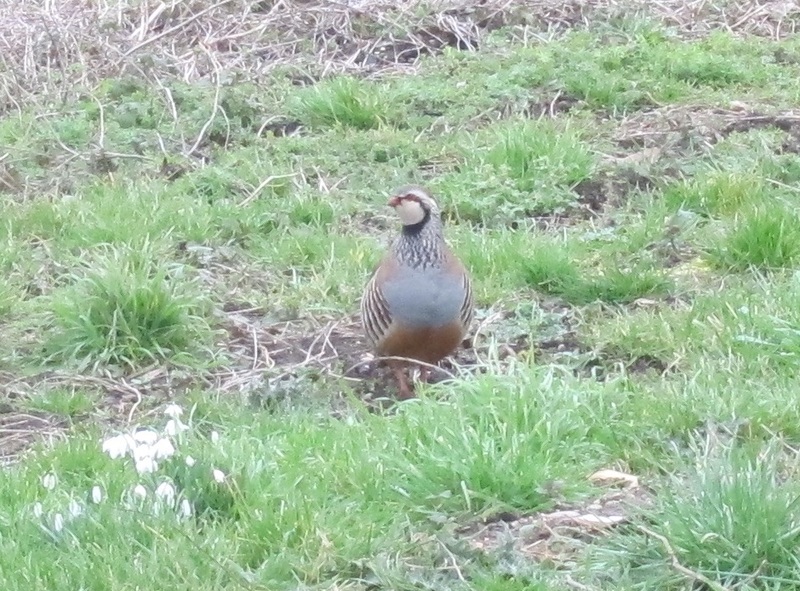 I don’t always have a camera handy when I spot something but this morning there were two Partridges outside and I managed to get a decent photo of one of them. Based on this RSPB page it’s clear that it’s a Red-Legged Partridge. I’ve now started a new page for The Wildlife where I will attempt to catalogue the various species of wildlife that frequent the site.